In order not to lose out on your first choice of homes, please come prepared to put down a deposit on your new home purchase as detailed below. 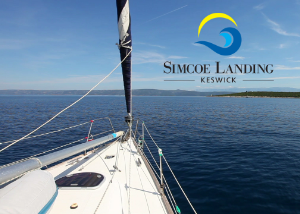 Starting at 11am, this Saturday April 7th you are invited to our new Simcoe Landing Release! We are excited to announce the release of new 45′, 40′ & 35′ Lots in our popular Keswick new home community! LANCASTER HOMES will once again have a selection of excellent lots and floorplans with added new designs.